Con Edison awarded $10 million in 623 grants in 2015 across five focus areas of its Strategic Partnerships program: Arts & Culture, Civics, Community, Education, and Environment. To fulfill its commitment to accountability and continuous improvement, Con Edison sought to capture the social impact of these investments to communicate with key internal and external stakeholders, and to help guide future investment decisions. 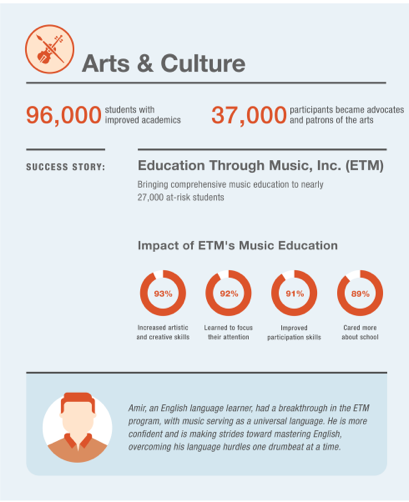 In 2015 Con Edison provided $2.5M to arts and culture groups who provide programs in the visual and performing arts to the public and arts in education to our public schools. 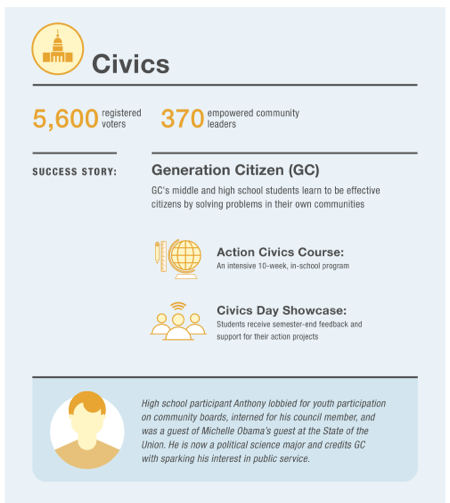 Con Edison gave $300k to programs that create interest in the democratic process by providing young people with the skills necessary for life-long civic engagement. For more information on Con Edison’s Strategic Partnerships program, please visit https://www.coned.com/partnerships.